Verizon has been quiet since CES with their plans to release new devices, but we may now know a couple of them that have been kept under wraps. 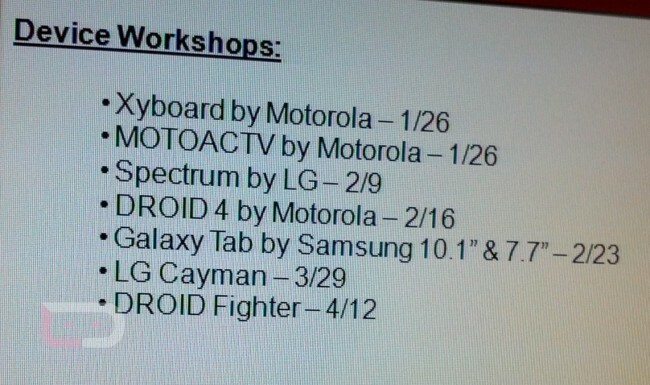 According to sources of ours, a device called the DROID Fighter and LG Cayman are on the way and could be here within the next two months. 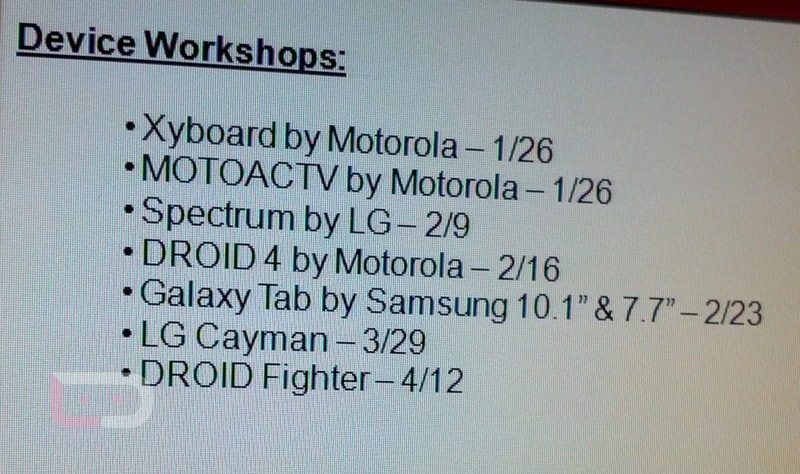 There is no way to tell if this “DROID Fighter” is Motorola, Samsung or HTC by this screenshot. It could be the new Incredible-esque device from HTC that leaked a week or two ago and that we assumed was the HTC Fireball. Or it could be another release from Motorola, although we have yet to hear of anything in the works that would be out by April. A follow-up to the DROID Charge? Eh, not sure. The LG Cayman could be on the low-end since they just released the Spectrum, but shouldn’t be written off just yet. Every other device on this list is by no means on the “low-end,” so we’ll have to hold off from speculating too much until we have more details. We should point out that this is not a release date list, so you shouldn’t necessarily target 3/29 for the Cayman and 4/12 for the Fighter. They are Thursdays though, and you and I know that Big Red loves to release phones on Thursdays.